When you suddenly wake up in the middle of the night and realise your throat has gone as dry as a raisin, there's only one thing you reach out for- a glass of water. While you might enjoy a variety of beverages during the day, be it coffee, tea, soft drinks or smoothies, but water is the only liquid your body will demand after a rigorous work out at the gym or a long day of shopping at Sarojini Nagar market. Not to mention the times when you have hiccups, something choking your throat, a panic attack or just feeling restlessness, it is water and water alone that comes to the rescue. So the point we're trying to make is, there is more to water than just the ability to quench your thirst. It is common knowledge that your body is made up of 70% water. But do you know that water has healing properties too? In this article, we are going to explore the realms of water beyond the 8-glass rule. Read on to find out everything you need to know about water therapy, its benefits and its side-effects. You can survive five to seven weeks without food, but the average adult cannot live more than five days without water. There's a reason why it's sometimes called the 'elixir of life'- because of water essential for our survival. It ensures proper functioning of the body, aids weight loss, improves digestion, circulation, transportation of nutrients and maintains the body temperature. And the best part, it doesn't have any side effects whatsoever (unless you're chugging litres and litres of water per the minute- don't do that!) Basically, drinking water is a win-win situation. 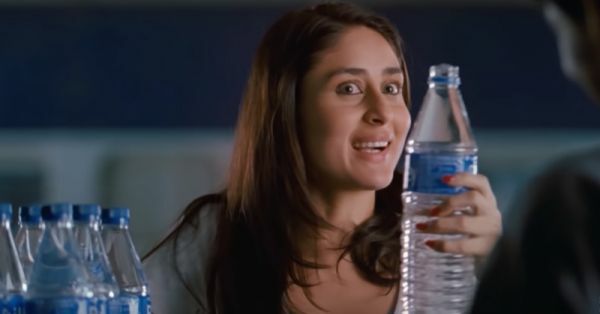 So grab a glass of water, and read on to find out what makes water a medical boon. As the name suggests, drinking water therapy or Japanese water therapy is when water (in a significant amount) is consumed orally. This therapy helps rid your body of all its toxins. We are going to explore this particular therapy in detail later in the article. Scroll down to know more! Hydrotherapy, formerly called 'hydropathy' and 'water cure', is a part of alternative medicine, occupational therapy, and physiotherapy, that involves the use of water for pain relief and treatment. Unlike the drinking water therapy, it involves the use of water both internally and externally, and at varying temperatures for health purposes. It includes treatments such as watsu (an aquatic massage), saunas, steam baths, foot baths, contrast therapy, hot and cold showers, and water therapy. There are so many therapeutic ways of extracting benefits from water. Without even realising it, many of us already use hydrotherapy in our lives, whether it is taking a warm bath to unwind or putting an ice pack on a swollen area. There are many types of hydrotherapies, with some being done at home and others by a professional. The result is a happy and healthy you, in all cases. According to the Oxford dictionary, relaxation is when the body and mind are free from tension and anxiety. Simply listening to the sound of water has proven to be a source of relaxation. I witnessed it first hand when I went to Manali and managed to get a hotel by the riverside. The sound of Beas river flowing through Manali had a surprisingly calming effect on my mind. When I was too lazy for a hot water bath after a long day of trekking, just the sound of the river would out me to sleep, relieving my body of all kinds of pain. It's no wonder that yogis choose riverside and waterfall spots for their meditation. The natural, rhythmic flow of water feels like music to ears. This can be understood as a supplement to drinking water therapy. The only difference is that here, you infuse your water with detoxifying agents like lemon, mint, berries, and other citrus fruits. Detoxification aims to rid the body of toxins that get accumulated in the body, which lead to undesirable short-term or long-term effects on your health. To maximise the benefits of this treatment, keep the water between room temperature and cold. This therapy has become incresingly popular with health junkies owing to the fact that it adds a delicious taste to water without any added sugar or artificial flavours. Now, as promised, let's get into the details of Japanese water therapy. Water therapy is a process which involves drinking a significant amount of water throughout the day. According to the Japanese medical society, drinking water first thing in the morning immediately after waking up is the best way to maximise the effects of water therapy. These wee hours of the morning are considered 'golden hours', and it is believed that drinking water during this period not only promotes weight loss by soothing your digestive system, but it can also help in treating various other health problems. The origins of water therapy can be traced to the days of ancient Ayurveda. In Sanskrit, the name for the practice is called Usha Paana Chikitsa, which roughly translates to 'early morning water treatment'. But it was about 20 years ago when water was discovered as a potent medicine. Dr. Fereydoon Batmanghelidj, a political prisoner in Iran, discovered the healing powers of water - the only medicine available to him in prison - by treating 3,000 prisoners who were suffering from stress-induced peptic ulcers. He realised that dehydration had become the culprit for many chronic diseases and after his release, he dedicated his life to the study of dehydration and its negative effects on human health. In fact, his subsequent discoveries restored the health for thousands of individuals who were suffering from unidentified dehydration-related illnesses. He made his research and discoveries public in the form of books namely Your Body’s Many Cries for Water, and How to Deal with Back Pain and Rheumatoid Joint Pain. What an unlikely yet fascinating discovery! Like water therapy already? Let's talk about some benefits of the treatment. Once you learn why it is so great, you will be convinced to give it a shot. If you are suffering from diabetes, you know that high blood sugar in your body draws water from your tissues, making you feel dehydrated and thirsty. Before we get into the details of dehydration and its many disguises, know that water therapy is a scientifically and ayurvedically proven treatment for diabetes. Water, according to diabetes specialists, is especially important for diabetics because even a small decrease in the hydration level can cause serious health problems. Water is the best way to quench that thirst and to break down sugar and glucose. Because pure water has no calories, no sodium and contains no fat or cholesterol, it is the best supplement for someone with diabetes. Plus, it also has no caffeine, which is a dehydrator. Hydration should be the most important thing in your life. Water is responsible for flushing out the toxins in your blood, enabling you to renew it. Thus, ageing is delayed and your skin looks more moisturised. As the toxins are eliminated, you will find that not just your skin, but your hair too will become shinier and healthier! Regularly practicing water therapy can do wonders for your skin by minimising pimples, acne and blemishes. Add a twist of lemon to your water (warm or better results) and see how the alkalizing effect clears out your skin. Water therapy can boost your metabolism by up to 24%, which, in turn, will help you shed excess fat faster. Your body won't feel sluggish either. Of course, adding exercise to this mix will give the ideal boost to your metabolism. Yes, you read that right! Water therapy for weight loss is a legit thing and it works! Drinking even half a litre of cold water in the morning can boost your metabolism. But how does an uplifted metabolism lead to weight loss? Everything you eat will burn faster, that's how. The downside is that you may feel hungrier. But the more water you drink, the less hungry you will feel since your stomach will be full already. This is how water therapy regulates your appetite by preventing you from eating more food than you need. If you are following water therapy for weight loss, it is important that you drink cold water. Your core temperature, which is responsible for heating up the cold water, is able to burn more calories, which in turn will help you reach your target weight faster. Water therapy thoroughly flushes out our gastrointestinal tract, cleaning not just your blood but also your digestive system of all toxic matter, readying it for the rest of the day. Dehydration is the root cause of a plethora of health problems, resulting in both external and internal consequences. Many diseases are complex symptoms of dehydration- did you even realise that lack of water is causing your suffering? Studies show that water therapy can help prevent and eliminate diseases like rheumatoid arthritis, migraine, hypertension, sinusitis, kidney stones, asthma, anaemia, leukaemia, tuberculosis, irregular menstruation and even cancer. It also helps you stay energised by maintaining water reserves and prevents dehydration. Most of your body's water comprises a lymphatic fluid which is responsible for filtering out foreign particles. It flows much slower because the heart does not pump the lymphatic fluid. 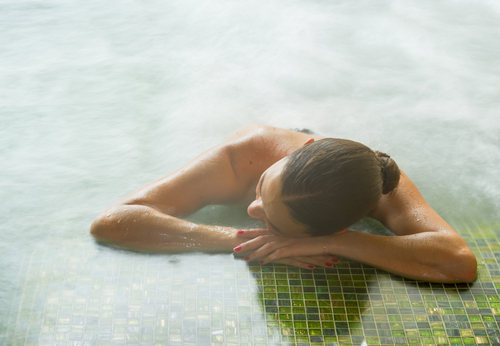 With water therapy, the lymphatic system is instantly activated. This helps you perform your daily functions, balance your bodily fluids and also fight infections. You must be aware that the blood flowing through our veins comprises 90% water. Hence, drinking more of it not only improves blood circulation but also helps regenerate new blood cells. To produce more blood, the body needs to create a liquid called plasma and for plasma, one must drink a lot of water. Simple! Did we also mention that when there is enough water in your body, the extra water enters the muscles and increases muscle cell volume, therefore, increasing muscle production. Since you consume water the first thing in the morning before actually eating anything, the colon gets a chance to eliminate a lot of toxins from the previous day. Water helps flush out these toxins from the system, thereby purifying the colon. 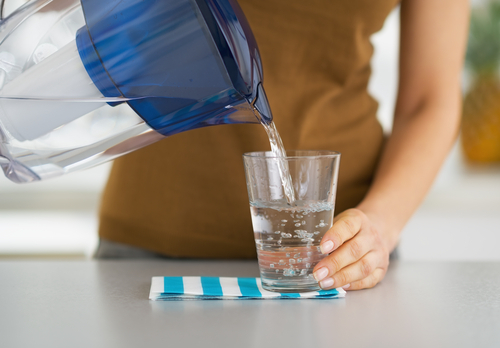 The purified colon further makes it easier to absorb nutrients, and that is why experts suggest that the first thing you should do after waking up is chug some water. Unless you do that, how else will you make space for food and digestion? When you practice water therapy, you prepare your stomach to fully absorb all the nutrients from the food you eat through the day. This leads to the proper breakdown and digestion of food (as mentioned already in point 5) making bowel movements easier. This prevents bloating and constipation. Sure, drinking so much water especially in the beginning is going to be super challenging. You will feel fuller (which will result in less munching so yay) but uncomfortable. You will also feel the urge to urinate more often than usual. But that will only ensure a regular removal of toxins from your body, making your pee clearer and your body healthier. 1. Immediately upon waking up in the morning, even before brushing your teeth, drink at least 1.5 litres (5-6 glasses) of water on an empty stomach. Water should ideally be consumed at room temperature or lukewarm. If you can't drink so many glasses of water at once, take a break of a few minutes between 2-3 glasses. Gradually, your system will get accustomed to drinking 6 glasses of water. 2. Make sure you have your first meal of the day or whatever you take for breakfast after at least 45 minutes to 60 minutes of drinking water. 3. Do not consume any alcoholic beverages the night before. Alcohol, depending upon the type of alcohol and the amount of consumption, can stay in the blood for up to 24 hours. Remember, how water therapy helps with the generation of new blood cells and blood circulation? It is essential that your body is completely free of alcohol. 4. After every meal of the day, avoid eating or drinking anything for at least two hours. 1. The first one isn't directly a side effect of water therapy but can seem like one. The way you drink water can make all the difference in your pursuit of the treatment. Avoid eating and drinking while you stand as it hinders the digestion process. 2. Drinking water that is too hot can actually damage the tissue in your oesophagus (food pipe), burn your taste buds, and scald your tongue. Be very careful when you drink hot water - pay attention to the temperature. 3. At the same time, never drink cold water with meals as this will solidify the oily stuff that you have just consumed. It won't take long to turn this into fat and sludge in the intestines, creating an imbalance in the body. Cold water can also lower your energy level and weaken the kidneys. 3. “The skin contains 64% water. It can get dehydrated due to lack of hydration, air conditioners, cold climates, creams containing retinol or glycolic acid, hypothyroidism and even hot showers. Drinking about 2 to 3 litres of water definitely helps the skin stay hydrated, supple and radiant. 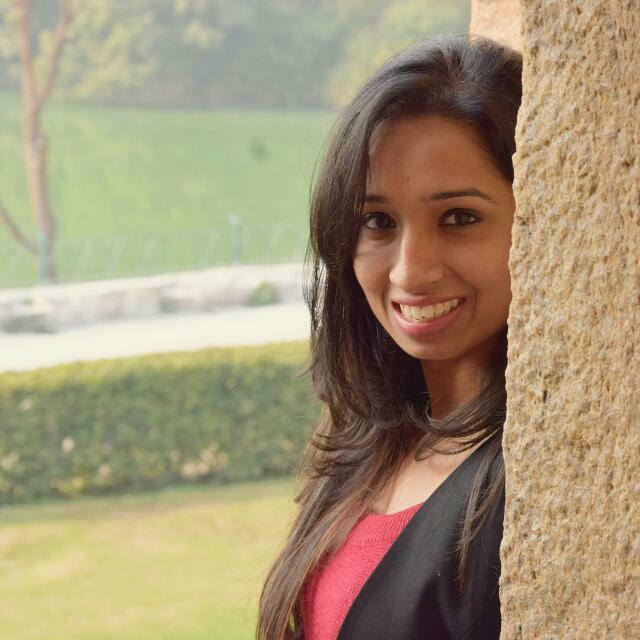 Water also helps flush toxins out.” - Dr Jaishree Sharad, Skinfinity, Mumbai. 4. “It’s true. Drinking water is really good for the skin. Water hydrates your body and skin. Drinking less water leads your body to dehydration, and this reflects on the skin. It looks dull, parched and loses its radiance. Dehydrated skin is more prone to skin problems and sun damage. Drinking water also maintains our metabolism and adds a natural glow to the skin.” - Dr. Chiranjiv Chhabra, Skin Alive, New Delhi. Drinking a good amount of water every single day should be a way of life- it’s great for your skin as well as your overall health. And we have given you plenty of proof for the motion. So, what are you waiting for?